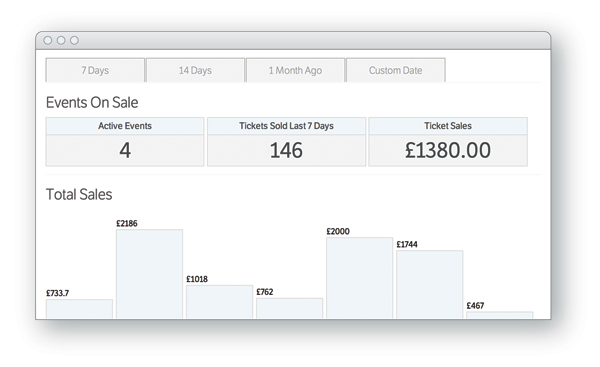 We will take your web brief and turn it into an attractive, functional and user friendly site to show off your event and tickets, use your site to fit your needs. 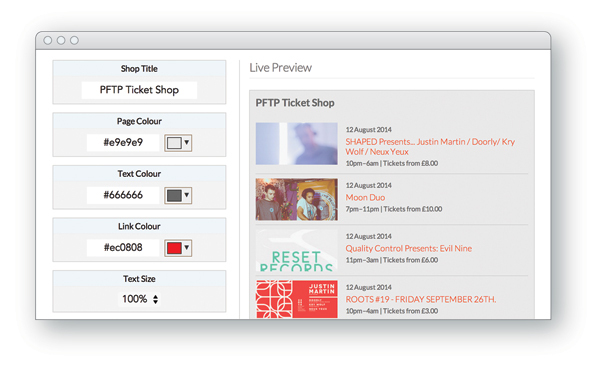 Integrated PFTP box office directly in your site so all your ticket sales are processed in one place. Ability to add a large combination and variety of functional to your site to tailor to your needs. Our website is built on a reliable and secure platform to ensure a perfect service along with payment security for your customers. 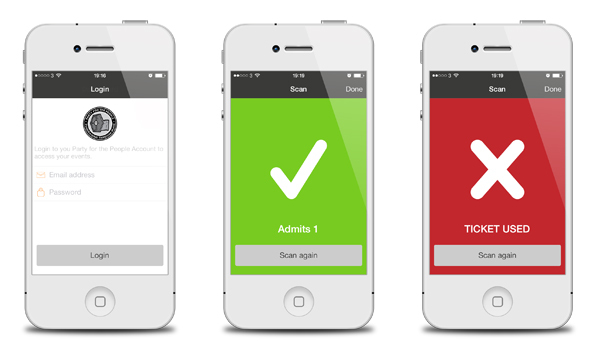 Easily manage your tickets and guestlist directly from your PFTP account. 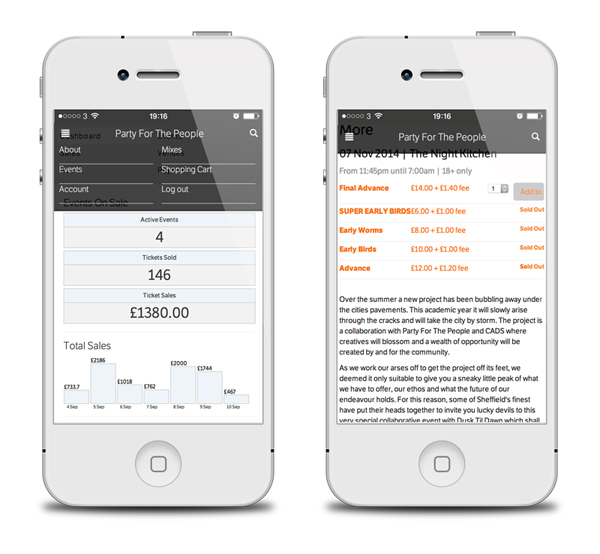 With our improved layout you can manage your events and tickets on any device, wherever you are!